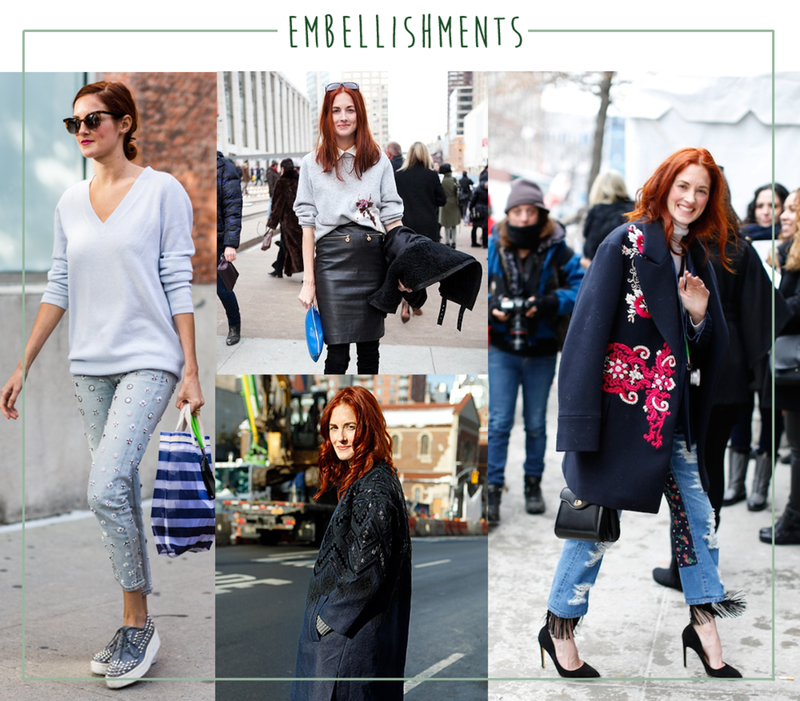 Known for her fiery red hair and risk-taking tendencies, Taylor Tomasi Hill is a street style darling and up there on my list of modern muses. 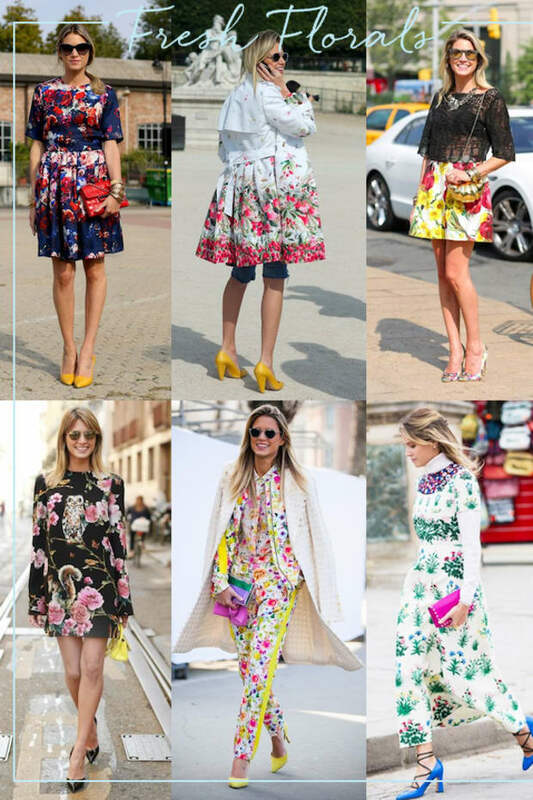 As if her impressive career in the fashion industry wasn&apos;t enough (she hails from W, Marie Claire, and Moda Operandi), the trend-setter also founded a flower delivery service in New York City that further showcases her talent for playing with color, texture, and shape. Simply put, she has an eye for mixing and matching potentially disparate elements so they come together beautifully (in both fashion and florals). Since I&apos;m drawn to her personal style that blends preppy, vintage, and feminine/masculine pieces, I decided to dive deeper into just what makes her vibe work so well. Here&apos;s what I found. 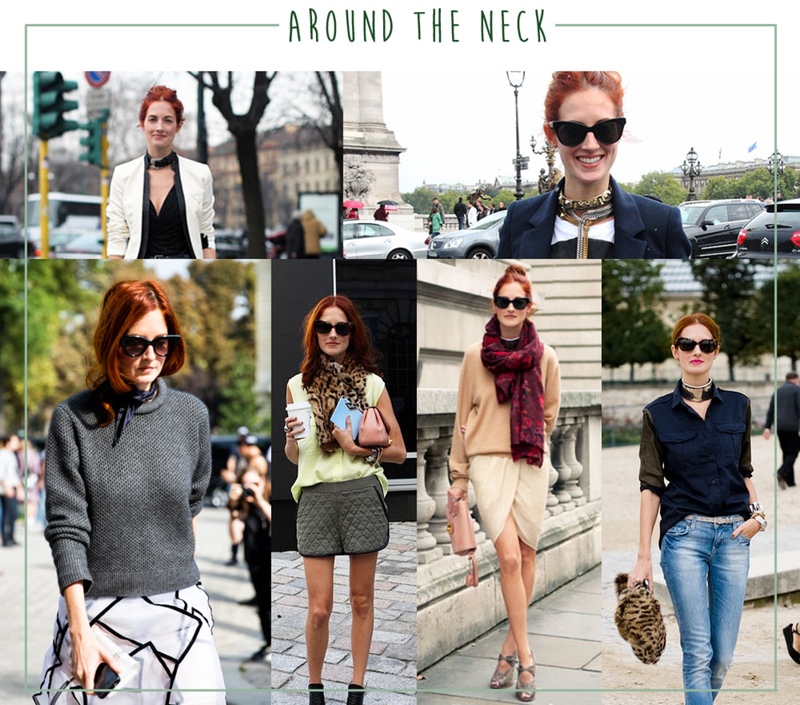 Whether it&apos;s from a wide choker, billowy scarf, or vintage neckerchief, already-chic ensembles are made just a touch more visually interesting with the addition of a neck accessory. Though she looks perennially put-together and simultaneously ready to dominate both the runway and a boardroom, her looks convey power without being boring. A suit doesn&apos;t have to mean gray or black slacks and a blazer. 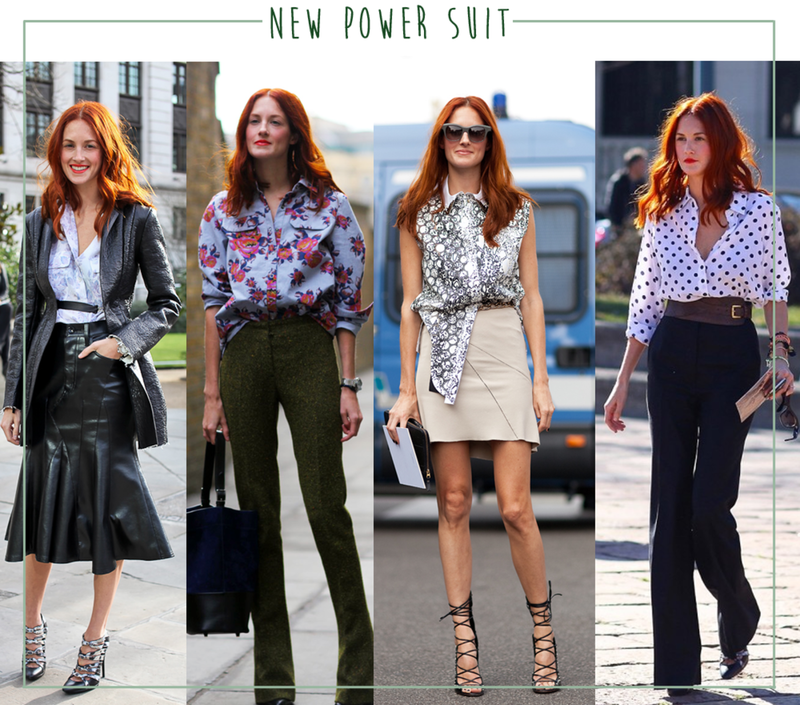 As Tomasi Hill demonstrates, it can mean a floral printed button-up with hunter green wool trousers; a polka dotted blouse with a corset belt and navy wide-leg pants; or a leather or khaki skirt in a modern shape instead of the expected pencil skirt. I love the preppy elements she adds to ensembles, such as cable-knit sweater vests, nautical-stripe tops, chambray shirt-dresses, tweed jackets, and crisp plaid shirts. She smartly juxtaposes these preppy pieces with feminine details such as tulle trim and pleated hems, and edgier downtown items like black ankle boots and mesh skirts. Furthermore, fresh layering tricks such as wearing a bow-twist bustier over an oxford shirt, and bohemian silhouettes like flowing off-the-shoulder tops, keep the preppyness from being pigeonholed. Her outfits often entail intricate embellishments that I find fun and festive, without ever veering into "tacky" or overboard territory (think: bedazzling). When wearing embellished items, she opts for simple, clean lines and classic pieces so the overall look is never too much for the eye. If the outfit is built on and balanced by basics—for example a pencil skirt and collared shirt; a fitted v-neck sweater with straight-leg jeans; or a clean-lined coat with classic black pumps and a white turtleneck—then one (or more) of those pieces can boast sequins, studs, embroidery, or patchwork without it looking gaudy. 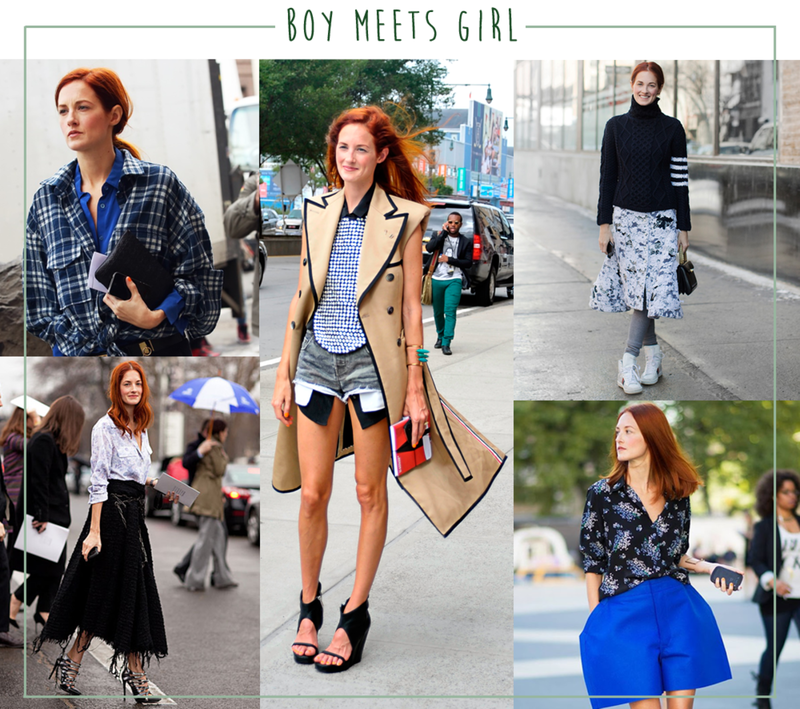 This is one of my all-time favorite sartorial combinations, and Tomasi Hill does it oh-so-well. She mixes inherently feminine elements like floral prints, a-line maxi skirts, and heels, with masculine pieces like tailored shorts, boyfriend sweaters, and oversized shirts, so her style never skews too one way or the other—and always looks cool.